Having posted many times on the subject of the so-called “War on Drugs”, and how the only beneficiary is organised criminality, there is not going to be any condemnation for those who occasionally smoke a joint, or have an impromptu meeting with Charlie, here on Zelo Street. But the stinking hypocrisy of politicians who vow, if only by inference, to uphold the law while partaking - that is something else altogether. And when it comes to the present Government, the first name that comes to mind when the subject of Charlie is broached is inevitably the Rt Hon Gideon George Oliver Osborne, heir to the seventeenth Baronet, whose presence alongside Natalie Rowe has been preserved so future generations can marvel at the way he can, with a straight face, stand there in the Commons and say drugs are A Very Bad Thing Indeed. Worse, Osborne looking out of it is something he has reprised all too recently: during the last Prime Minister’s Questions (PMQs) of November 2014, he was described as “like he’s just got out of bed … like he slept in a ditch … looks totally off his face … getting over a heavy night out”. When “hear hear”-ing along with the rest of the Government benches, he gave the impression of being on autopilot. 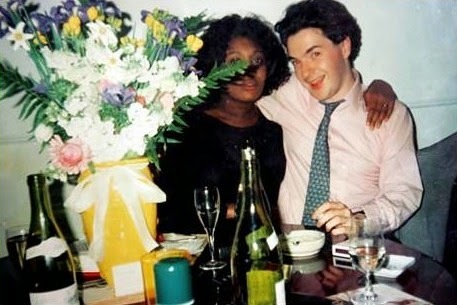 So the last thing the Chancellor of the Exchequer needs right now is to be reminded of his known past, er, indiscretions. How might such a thing happen? Oh I dunno, how about if one of his aides was caught doing some Charlie? Nah, that could never happen, I mean, he’d have given strict orders not to do anything to embarrass him, right? So the combination of rolled-up £20 notes and Snow would be right out. Well, yes and no: no as in ordinary Charlie was not involved, but yes as in there was an aide, and there were also currently illegal drugs. As the Mirror has told, “One of Chancellor George Osborne’s senior advisers on economic policy has been captured on video smoking crack cocaine in a drugs den. Prof Douglas McWilliams, who last year ­estimated we would all be £165 a year better off by the election, is seen inhaling it through a glass tube at a flat in North London”. So rather more than Charlie, then. Oh dear! Do go on. “The executive chairman of influential City think-tank the Centre for Economic and Business Research then slumps dazed on a sofa after repeatedly smoking on the makeshift crack pipe involving a miniature Martell Cognac bottle. Red-faced and slurring his speech, he later told the dealer he had ‘too much’ and that he had spent the day on a binge”. There’s an example to hard-pressed voters. The Mirror - not, it has to be admitted, a great fan of the Tories - wasted no time in reminding readers that McWilliams had warned “The Government, and especially George Osborne, have credibility in the City partly because both Ed Miliband and Ed Balls do not”. Yes, somebody is supping something strong, or, er, even worse. Clearly, being part of the Treasury team is something not to be sniffed at. [UPDATE1 2 March 1415 hours: there has been some adverse reaction to this post on the grounds that it may be gratuitous in its criticism of the Chancellor and friends, but as so often on Zelo Street, there is a serious point being made here. Douglas McWilliams has what might be called previous on the witnessed use of currently illegal drugs, and an incident last December does not make for comfortable reading. This time it was the Mail relaying the details. "A leading economist is being questioned by police over claims he assaulted a prostitute after the pair smoked crack together. Professor Douglas McWilliams, executive chairman of influential City think-tank the Centre for Economic and Business Research, allegedly attacked Beverly Shearon at her flat in St Albans, Hertfordshire. Ms Shearon, 47, reportedly called police after she was left with a black eye and an injury to her hand, claiming McWilliams had 'flipped out' when a neighbour arrived at the one-bedroom flat". There's more: "'He turned up at about 4pm and wanted a smoke. I was weak and let him,' Ms Shearon [told] ... [she] said his mood changed suddenly when a neighbour called in to wish her a Happy New Year. She alleged McWilliams, who she said had been a regular visitor to her home in the past year, had then attacked her in front of the well-wisher, before leaving the flat. She said she called police to her home, who took photographs of her injuries". That an incident took place has been confirmed by Hertfordshire Police: "Police are investigating an ABH assault which is alleged to have occurred at an address in St Albans at around 5pm on Wednesday, December 31st ... A woman reported she had been assaulted, she suffered an injury to her hand and bruising to her face ... A 63-year-old man from London has been interviewed under caution and investigations are on-going at this time. No drug offences are being investigated". [UPDATE2 3 March 1820 hours: such is the triviality of this business - critics of my running the original item, I'm looking at you - that Douglas McWilliams "is to step down from an influential think-tank after allegedly being filmed taking crack cocaine". That is from the relatively upmarket Times. And there's more. "Professor McWilliams, a cheerleader of the chancellor George Osborne, will resign as executive chairman of the Centre for Economics and Business Research (Cebr) this week 'to deal with issues I have not had the chance to address fully'". The Standard has also run an article on McWilliams, telling "Tomorrow he will step down from CEBR to confront the multiple crises in his personal life. Today he appears in court charged with assaulting Beverley Shearon on New Year’s Eve at her house in St Albans — an allegation he has denied". His lawyer was present throughout the interview he gave to the paper. is that the same guy with the same incident ... or a bis repetita ?